XI.I Samhain is a very special beer as it is brewed only once a year, during the night of Samhain, one of the four yearly Celtic celebrations. Samhain happens on the night of October 31 and marks the Celtic New Year. XI.I Samhain received the gold medal in the belgian strong style category. The Celts believed that on that night, the boundaries between the living world and the afterlife were abolished. The living had access to the kingdom of shadows and "Anaon" (souls) came to visit the living world. The custom in Brittany has long been to not sweep in front of homes during this time by fear of sweeping away souls that came visiting. People also avoided to leave horses outside as the dead were likely to make them galloping all night and to exhaust them. Samhain was christianised in 835 and became both the Celebration of All Saints (Toussaint) and the Celebration of the deads on November 2nd. In Ireland, after the Great Famine of 1847-1849, one million Irish people emigrated to the United States where they continued to celebrate Samhain under the Christianised name of All Holy's Eve. Then this name evolved into Halloween. The Lancelot brewery organises a festival each 31st of October in order to brew XI.I Samhain, and the brewery opens to the public with music. 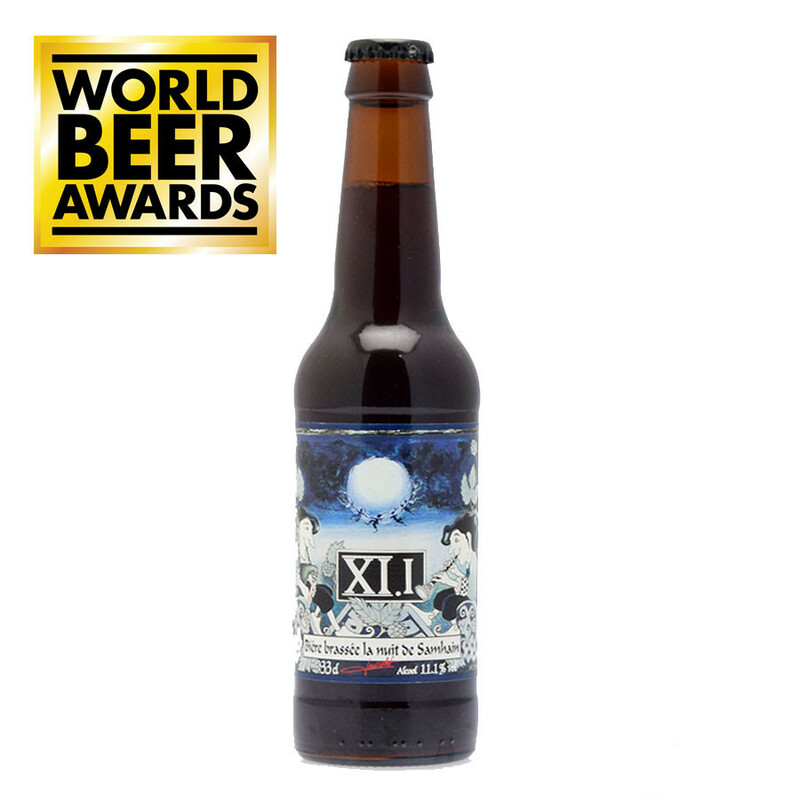 It is a dark beer grading 11.1% alcohol volume in reference to its XI.I name, which is also its date of brewing,the first of the 11th month of the year. The beer is brewed at sunset the evening of October 31. After a long fermentation, it is available on the winter solstice (around the 20th of December). Bronze Medal 2011 of the Concours Général Agricole. 2018 - Golden medal of Belgian style in World Beer Awards.